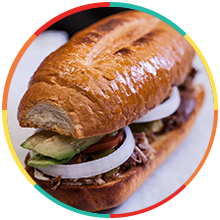 If you are looking for authentic and homemade, fresh Mexican food that is served in a fun and exciting atmosphere, El Charrito is the perfect place for you. 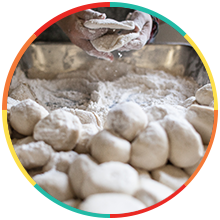 Serving our customers in Salinas and the Monterey area for more than 30 years, we know what you want and how you want it; our family recipes that have been passed down for many generations, providing you and your family with an authentic Mexican meal. When you want delicious authentic Mexican cuisine, you need El Charrito. Preparing our ingredients fresh daily, we are committed to bringing each one of our customers the best. We are confident in our ability to serve you high-quality and delicious meals that are made with only the finest ingredients. From our family to yours, made just the way you want it; our authentic Mexican restaurant prides itself on our ability to serve the Mexican food you crave, anytime that you want it. El Charrito shares our family recipes with you in every meal — Breakfast, lunch, and dinner. Truly satisfying and authentic our Mexican food is always made fresh. You can’t go wrong with one of our homemade tortillas! Our family opened up El Charrito in Salinas, many years ago, in hopes of making our own American dream come true. We have found success in our traditional Mexican food that we would love to share with you. 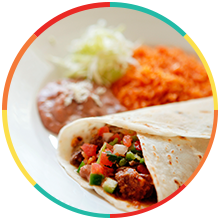 El Charrito offers convenient online ordering in Monterey for all of our authentic Mexican food. Pick what you want and it will be ready for you as soon as you get here. Delicious food made simple; get yours today!